Since August of 2017, the United States was devastated by three major hurricanes. Recovery from Harvey, Irma, and Maria is already estimated to cost more than $188 billion, and as of this writing, the crisis in Puerto Rico is still unfolding. Given the enormous costs from these disasters, both human and economic, the possibility of tort litigation against major emitters of greenhouse gases (“GHG”) is an increasingly interesting venue for victims of climate change. Climate change litigation is exceedingly complicated. Judges have to weigh both the science and politics while grappling with problems of attenuated causation. That might explain why, despite worsening damage, climate change litigation has not yet flooded trial courts. There are real questions about standing, causation, and allocation of liability in any climate change litigation. Plaintiffs seeking monetary relief for climate change injuries should be able to establish standing and allocate liability according to a defendant’s share of GHG emissions. In any litigation, plaintiffs bear the burden of alleging a particularized “injury in fact,” which is “traceable” to the defendant’s action and that can be “redressed by a favorable decision.” The Supreme Court considered standing in climate change suits in Massachusetts v. EPA, relaxing the traceability requirement. In Massachusetts, the court recognized that states bring action as both landowners subject to particularized injury and as a quasi-sovereign on behalf of the public. On the question of traceability or causation, the court signaled that showing the alleged GHG emissions are merely a contributing portion of the total atmospheric GHGs would be sufficient. It should be noted that the Massachusetts decision relies on an acceptance that climate change is real, and it is worsened by human action. With the recent storms, the issue of particularized injury should not be difficult. In the Florida Keys alone, 25% of homes were destroyed. In Texas, more than 100,000 homes were flooded, 40,000 were destroyed, and at least 300,000 vehicles were damaged or destroyed. However, there remains questions of traceability. Unlike sea level rise, the strength of storms is harder to link directly to climate change. With that in mind, it may be easier for potential plaintiffs living in coastal communities to bring action based on harm from storm surges made worse by sea-level rise, which has a clearer causal connection to GHG emissions. This was the tactic taken in Comer v. Murphy Oil USA, in which coastal residents sued oil companies for damage relating to Katrina. The question of redressability, unlike injury and traceability, depends largely on the desired relief. For plaintiffs seeking monetary damages, it is easy for redressability to be met. However, claims seeking injunctive relief will face two major hurdles; 1) preemption by the Clean Air Act (CAA), and 2) the administrability of a judicially imposed emission regulations. Courts are unwilling to oversee the regulation of an entire industry, particularly when Congress or the state legislature has already deferred such power to a regulatory agency, but les hesitant where reasonable monetary damages might be proven. However, one climate change legal scholar, Professor Douglas Kysar of Yale, suggests an alternative. First, he notes that market-share analysis has rarely been applied beyond DES litigation and is largely reliant on the fungible nature of DES. Kysar contends that, unlike DES, “each emission contributes to a single global process that causes all harms.” To get past the unreasonableness of holding all emitters joint and severally liable, a plaintiff could instead choose to only name the five largest emitters as defendants. I disagree with Kysar that each emission is equally responsible for the global harm. Rather, GHGs are a diverse array of interchangeable parts which “combine to produce a common effect.” Market share is the most reasonable way of identifying and allocating liability when weighed against the fact that climate change was the result of collective bad action. With emissions heavily concentrated and trackable, plaintiffs can choose to only target the most culpable industries. The purpose of tort law is not to drive corporations out of business but to make a plaintiff whole and discourage future bad acts. Perhaps this is true of the whole thought experiment, but it seems that the harm of holding each potential defendant independently liable would outweigh the intended benefit. Since the courts have largely recognized the science of climate change, standing has become an easier hurdle for plaintiffs in coastal communities. Sea-level rise will only make storm surges stronger, and hurricanes will be more damaging in those coastal communities. However, for victims of inland flooding and wind damage, traceability remains too attenuated to really show standing. But, after Massachusetts v. EPA, states appear to always have standing in climate change litigation, opening the door for future parens patriae action against emitters. The means by which we allocate liability, however, should factor fairness as well as the policy aims of tort litigation. * Josh LeVasseur is an associate editor on MJEAL. He can be reached at jmlevass@umich.edu. Not Your Imagination: This Hurricane Season Has Been Much Worse Than Usual, USA Today (Oct. 5, 2017), https://www.usatoday.com/story/weather/2017/10/05/not-your-imagination-hurricane-season-has-been-much-worse-than-usual/736649001/. Is This the Worst Hurricane Season Ever? Here’s How It Compares, Time (Sept. 24, 2017), http://time.com/4952628/hurricane-season-harvey-irma-jose-maria/; see also White House Seeks $44 Billion in Hurricane Aid from U.S. Congress, Forbes (Nov. 17, 2017), https://www.usnews.com/news/top-news/articles/2017-11-17/white-house-seeks-another-44-billion-in-hurricane-aid. 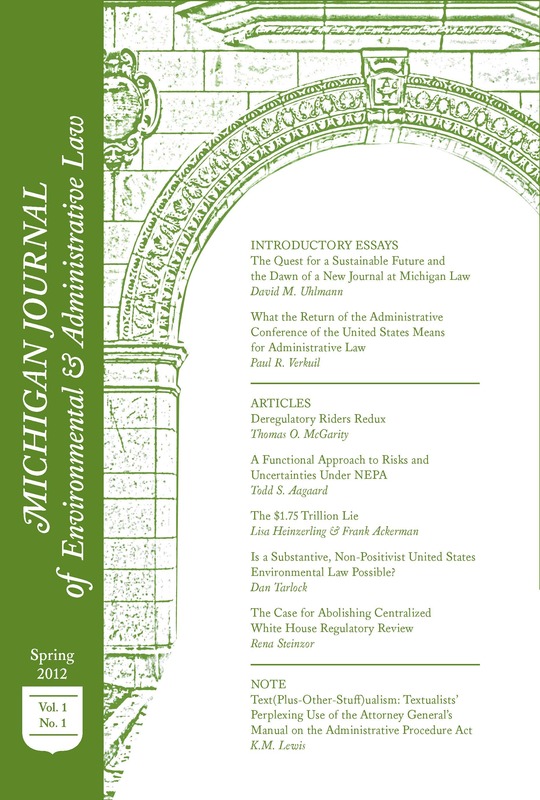 See David Markell & J.B. Ruhl, An Empirical Assessment of Climate Change in the Courts: A New Jurisprudence or Business as Usual?, 64 Fla. L.Rev. 15, 30-32 (identifying only 201 cases that “directly and expressly raise an issue of fact or law regarding . . . climate change”, only 12 of which were claims for liability). Lujan v. Defenders of Wildlife, 504 U.S. 555, 560–61 (1992). Massachusetts v. EPA, 549 U.S. 497, 521 (2007). Id. at 522 (“That these climate-change risks are ‘widely shared’ does not minimize Massachusetts’ interest in the outcome of this litigation.”). See id. at 521 (“The harms associated with climate change are serious and well recognized.”). ‘It’s Devastating.’ Returning Florida Evacuees Stunned by Extent of Damage from Hurricane Irma, Fortune (Sept. 13, 2017), http://fortune.com/2017/09/13/hurricane-irma-florida-keys-damage/. Houston Floods: Storm Harvey ‘Affected 100,000 Homes’, BBC (Aug. 31, 2017), http://www.bbc.com/news/world-us-canada-41117748; Wired, Harvey Wrecks Up to a Million Cars in Car-Dependent Houston (Sept. 3, 2017) https://www.wired.com/story/harvey-houston-cars-ruined/. See Michael Duffy, Climate Change Causation: Harmonizing Tort Law and Scientific Probability, 28 Temp. J. Sci. Tech. & Envtl. L. 185, 201 (2009). Comer v. Murphy Oil USA, 585 F.3d 855, 859 (5th Cir. 2009) (hereinafter Comer I) (a panel of the Fifth Circuit relied on Massachusetts v. EPA in finding standing for private plaintiffs) vacated Comer v. Murphy Oil USA, 607 F.3d 1049 (5th Cir. 2010) (en-banc) (hereinafter Comer II) (vacated when the en-banc panel dismissed the appeal for lack of quorum). Comer I, 585 F.3d at 867 (“plaintiffs’ complaint alleges that defendants’ emissions caused the plaintiffs’ property damage, which is redressable through monetary damages”); see also David A. Grossman, Warming up to a Not-So-Radical Idea: Tort-Based Climate Change Litigation, 28 Colum. J. Envtl. L. 1, 41-42 (2003). See Am. Elec. Power Co. v. Connecticut, 564 U.S. 410, 424 (2011) (hereinafter AEP) (holding that the CAA preempts federal common law regarding GHG emissions); but see also Bell v. Cheswick Generating Station, 734 F.3d 188, 189-90 (3d Cir. 2013) (holding that state common law is not preempted where the cause of action originated within the state); In re MTBE Products Liability Litigation, 725 F.3d 65, 97 (2d Cir. 2013); Freeman v. Grain Processing Corp., 848 N.W.2d 58, 81 (Iowa 2014). See generally Freeman, 848 N.W.2d at 84 (“The purpose of state nuisance and common law actions is to protect the use and enjoyment of specific property, not to achieve a general regulatory purpose.). See Summers, 33 Cal.2d at 88 (shifting the “burden to each of defendants to absolve himself if he can relieve the wronged person of the duty of apportioning the injury to a particular defendant.”). Joint and Several Liability, Black’s Law Dictionary (10th ed. 2014) (“Liability that may be apportioned either among two or more parties or to only one or a few select members of the group, at the adversary’s discretion. Thus, each liable party is individually responsible for the entire obligation.”). See generally Duffy supra note 11, at 230-31; Samantha Lawson, The Conundrum Of Climate Change Causation: Using Market Share Liability To Satisfy The Identification Requirement in Native Village Of Kivalina v. ExxonMobil Co., 22 Fordham Envtl. Law Rev. 433 (2011). Douglas A. Kysar, What Climate Change Can Do About Tort Law, 41 Envtl. L. 1, 37-39. Id. at 38 (highlighting that 18 emitters are responsible for 50% of emissions, and 5 emitters are responsible for 25%). Lawson supra note 17, at 481. Lawson supra note 17, at 486-87. See AEP, 564 U.S. at 420.